I moved to Oxhey on Jun 10th 1967, I remember the day because it was the Duke of Edinburgh’s birthday. I was born in Hammersmith, later we lived in a flat in Kennington, but after we were bombed out we were moved to Lambeth Walk, Vauxhall, which I hated. 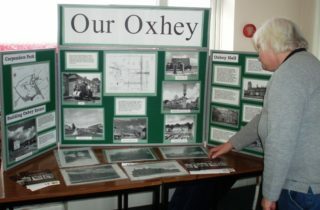 We were offered a three bedroom house in Oxhey which we were pleased about because my husband worked for Odhams. The house was one of the ’tin houses’ which were supposed to be temporary! Later on we bought the house which I still live in. My daughter went to a local school and much later my Grandaughter attended school locally too. Oxhey hasn’t changed much, there is still a community spirit. I live in a close and have very good neighbours. I miss Woolworths when it closed, it made a big difference to the shopping.